Kansas City is the home of a lot of cool places. In recent years, KC added a center for the performing arts. The Kauffman Center is a beautiful structure with clean lines & swooping curves. 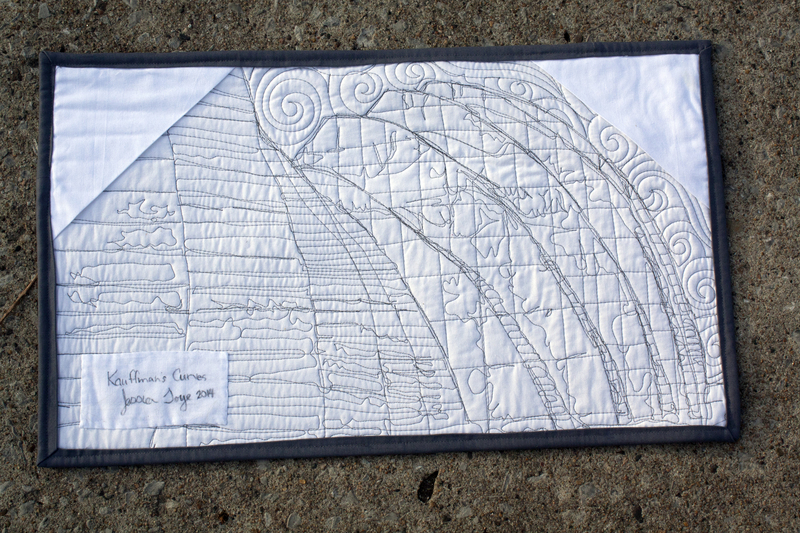 I made this little quilt from a photograph of the backside of the building. 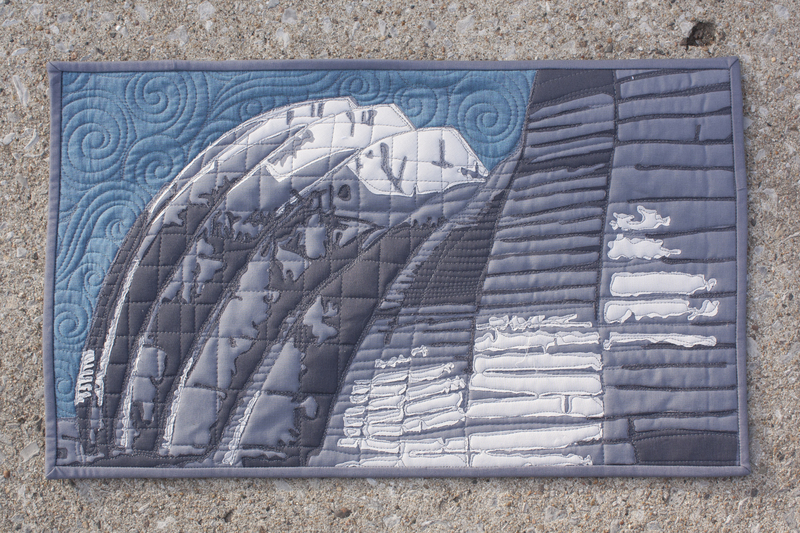 This quilt is made using Kona solids for the building and shot cotton for the blue sky. 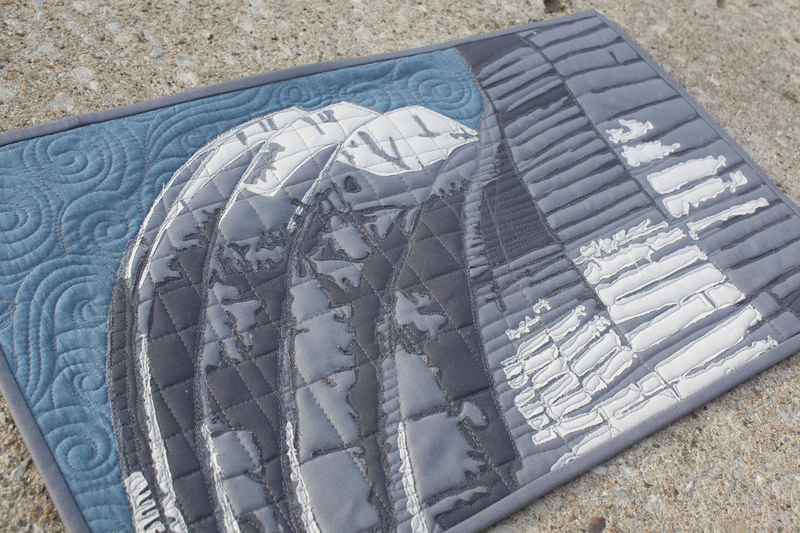 The blue fabric shimmers when the light hits it right. It’s small. It’s only 20″ x 12″, so it’s intended to be used as a wall hanging. A fan of the arts in KC? 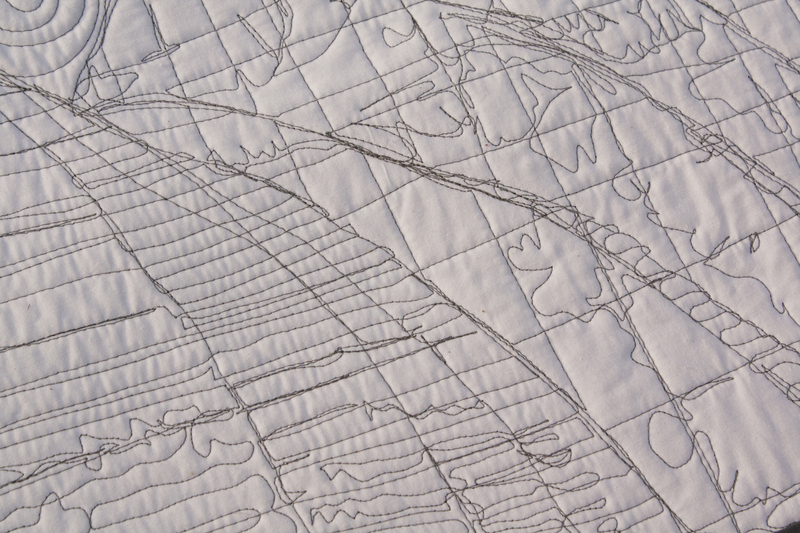 This quilt is for you, then. It’s for sale in my etsy shop. Click here to see its listing.